Rearsby is a village in Leicestershire, about eight miles north east of Leicester. The main denominations of non-conformity were Methodism (including Wesleyan and Primitive Methodism) and Congregationalism. William Cooper’s house was licensed for dissenting worship in 1778, but there is no indication of the denomination. Methodism was first mentioned on the 1829 return of religious meeting places, which counted 13 ‘Methodists’. Congregationalists are mentioned once, arriving in the second half of the 19th century. The only source that documents Wesleyan Methodists in significant detail is the 1851 Religious Census. This noted that a chapel was built in 1849, with room for 181 sittings, 100 of which were free. The congregation was recorded at 80 on census day, in one service that was held in the afternoon. Evening services were noted to be held, but not on census Sunday, in order to accommodate the anniversary sermons for the Primitive Methodists, whose own building was smaller, and the cordial relationship and cooperation between the two groups is worthy of note. Whether evening services were normally held in addition to, or instead of, the afternoon services is not clear, since average congregation figures were not taken. The chapel also contained a Sunday School, with attendance noted at 150 for a morning session. After 1851, there is little documentation of Wesleyan Methodists. Their continued presence is noted in directories for Leicestershire in 1855 and again in 1863, but they are not recorded in sources after this date. As with Wesleyan Methodists, Primitive Methodists are first mentioned on the 1851 Religious Census. According to this source, they had a chapel of their own, which was a rented property ‘made out of a Bank’. It was, however, a separate building, with room to accommodate 150 sittings, all of them free. On census day, services were held in the afternoon and evening, with a congregation size of 150 for each, although this was ‘larger than usual’ due to anniversary sermons. The average congregation was 80, recorded for a morning service. There was no Sunday School. After the 1851 Religious Census, the only source that mentions Primitive Methodists is the 1863 directory, which noted that they were present in the village. 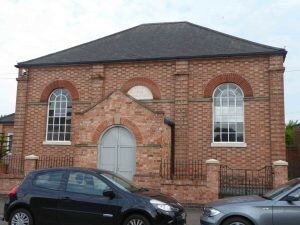 The only evidence for a presence of Congregationalists in Rearsby comes from a directory of Leicestershire in 1881, which noted the presence of a Congregational chapel. Leicestershire and Rutland County Record Office (ROLLR), list of meeting places, Rearsby, QS 44/1/2. 1829 Return of Religious Meeting Places, Rearsby, QS 95/2/1/52. 1851 Religious Census, Rearsby, Wesleyan Methodists, HO 129/416/74. PO Dir. Leics. (1855) p. 107; White, Hist. Gaz. & Dir. Leics. (Sheffield, 1863) p. 621. 1851 Religious Census, Rearsby, Primitive Methodists, HO 129/416/73. White, Hist. Gaz. & Dir. Leics. (Sheffield, 1863) p. 621. Kelly’s Dir. (1881) p. 699.